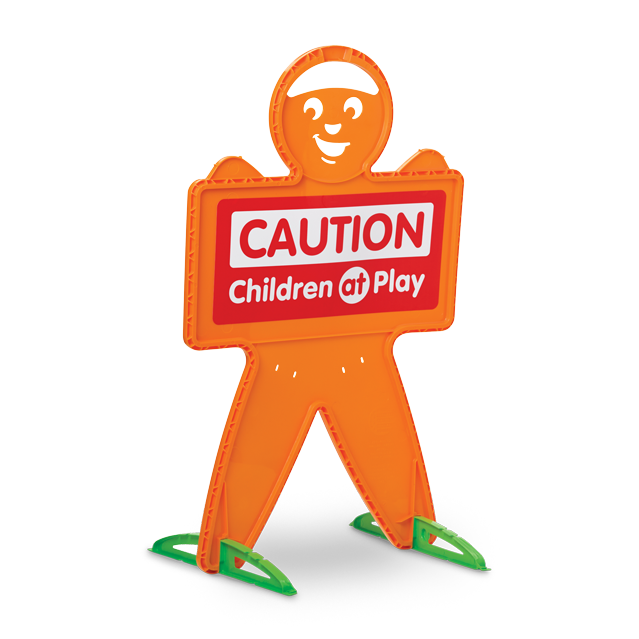 SAFETY MAN | American Plastic Toys Inc. Caution, children at play! This safety sign can be placed in the yard to heighten driver awareness. The sign includes large colorful warnings on both sides. Packed in a colorful “Dump Display” box.